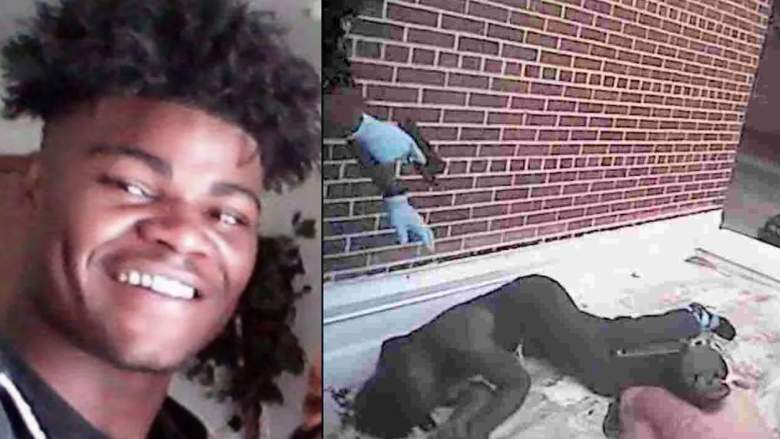 According to prosecutors the officers did nothing wrong when they gunned down Jerry Smith Jr.
AFRICANGLOBE – Jerry Smith Jr. was shot by Milwaukee Police in August of 2017 while unarmed. Smith, who was holding only a cell phone, is seen spreading his arms and going to the ground when police opened fire in a newly released body camera video. Police were responding to a call about an armed man and were heard discussing a possible gun prior to the shooting on the body cam video. They were later heard questioning where the gun was after Smith was shot multiple times and screaming for help. Prosecutors determined that the shooting was justified after two officers said they believed Smith was armed and they were in danger. Smith’s attorney is calling for prosecutors to reconsider their decision not to charge the officers. Police officers involved in the shooting were allegedly responding to a call of an unarmed man who apparently matched Smith’s description. Officers believed Smith had a gun. According to Smith’s attorneys, he was holding only a cell phone to call his mother. Body camera footage provided by Smith’s lawyers shows officers discussing a gun while jumping on to a roof where Smith was standing. Smith is seen spreading his arms as officers yell at him to put his hands in the air. He lowers his arms as he goes to kneel down, at which point an officer opens fire. The video stops when Smith drops to the ground and an officer is later seen handcuffing his hands behind his back as Smith wails for help. “Where’s the gun?” an officer is heard asking in the video as Smith continues to cry out. The Independent reports that the shooting does not need an independent investigator because it was not fatal. Both officers are still on the force but are now on administrative duty. Storm said he hoped federal prosecutors will take a look at the case. “The people in the community need to see that cops are as accountable as they are,” he added. Smith said that he has needed a wheelchair since leaving the hospital in September. Smith’s lawyers said he only has “partial use” of his right leg because a bullet is still lodged in his hip. “I’d like to see some change, real change where we don’t have this shoot first ask questions later,” added his attorney, Walter Stern.